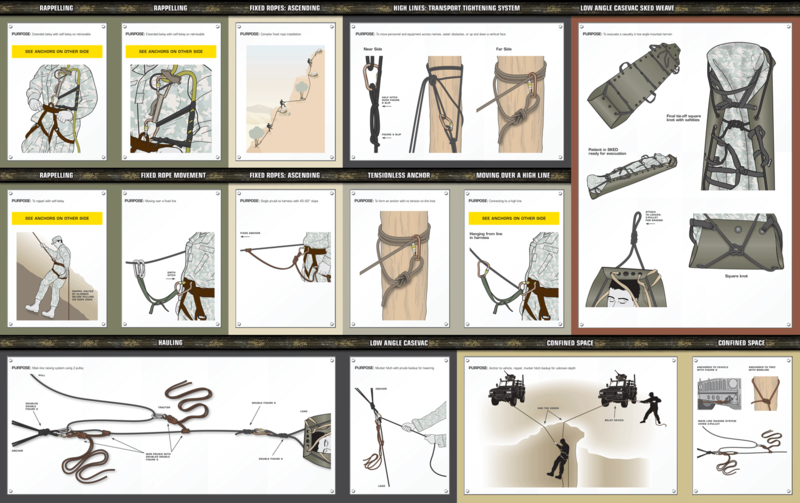 Designed by the Army Mountain Warfare School this field instruction guide is a easy to use and understand visual representation of more than 10 key mountaineering knots and anchors. It covers applications for rappelling, ascending, high line transporting and moving, hauling and CASEVAC. It includes checklists of warnings. 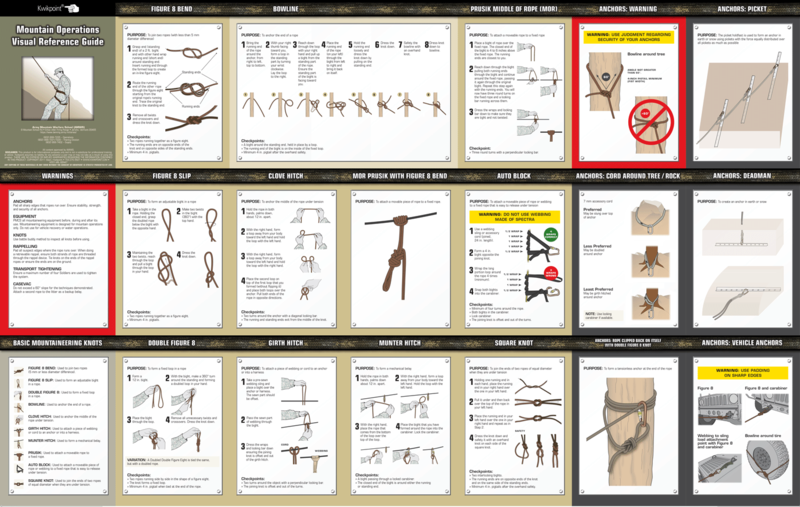 It can be used by itself or in conjunction with one of the mountaineering user guides.